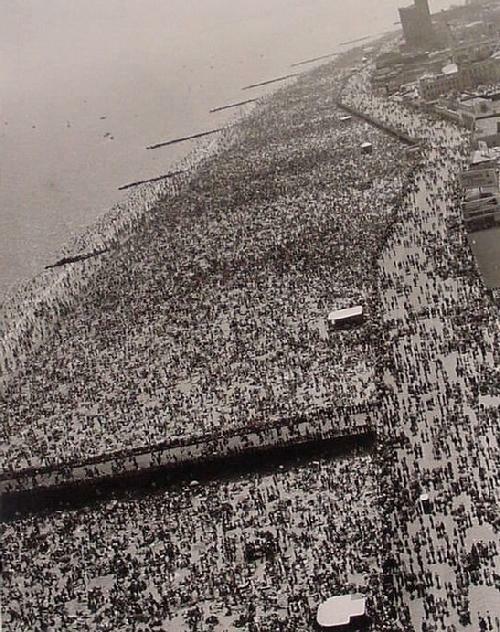 The crowd below, during the summer of 1940, immediately after Moses' alterations, was at the time Coney's largest ever. 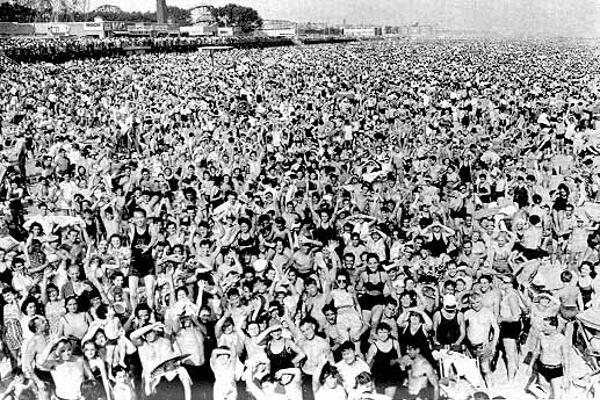 �After WWII, crowds actually increased to record highs, often surpassing the million mark on "Sunny Summer Sundays." 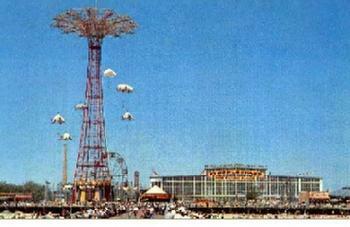 �In total, the summers of 1946 and '47 each brought close to 45 million people to Coney's shores. 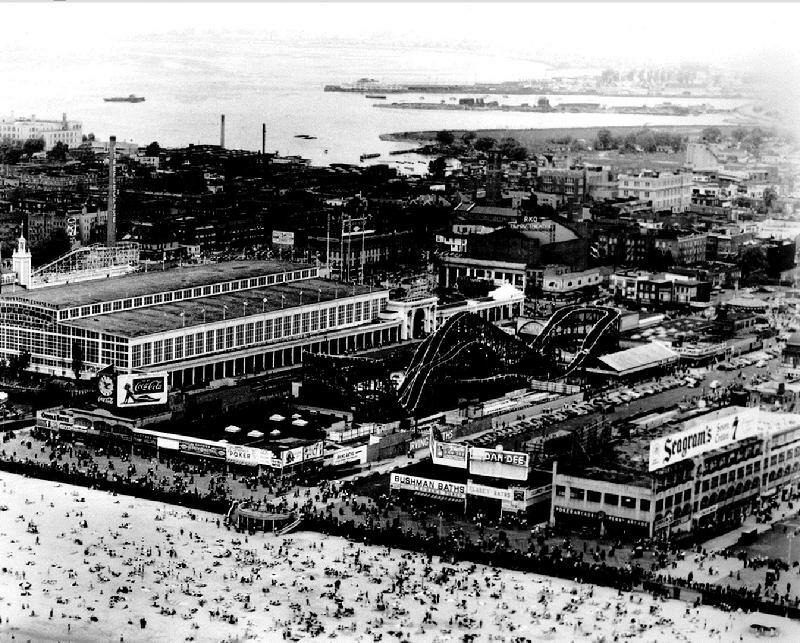 �More people were coming out for the beach than even those who came out for Coney's Nickel Empire/coaster craze of the 1920s. 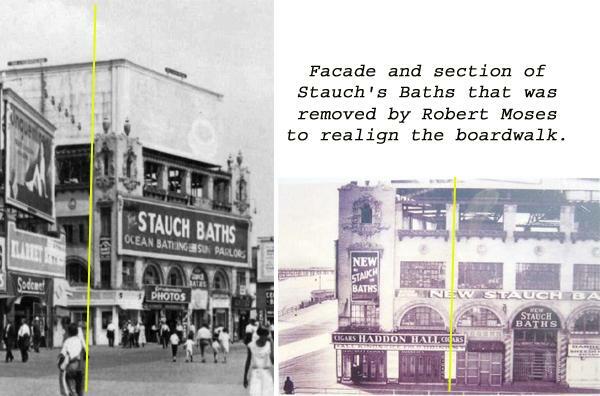 Unfortunately for the tightly knit Tilyou family running Steeplechase, and especially for the revolving door of owners running Luna Park, the larger beach crowds didn't equate to more business at the amusement parks. 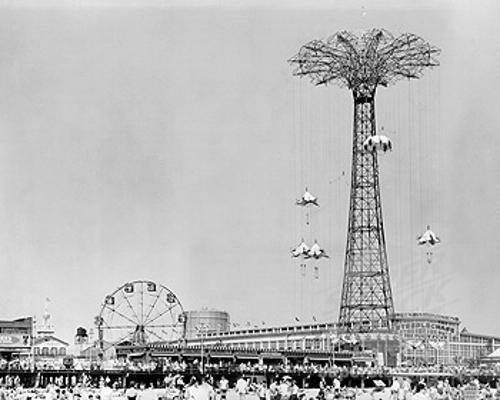 1941: �After a two year run at the first New York World's fair, put together by Robert Moses in Flushing Meadow's Park, the Parachute Jump (originally built to train US Paratroopers) was moved to Steeplechase.��It was one of the last major rides brought to Coney during the Robert Moses era. 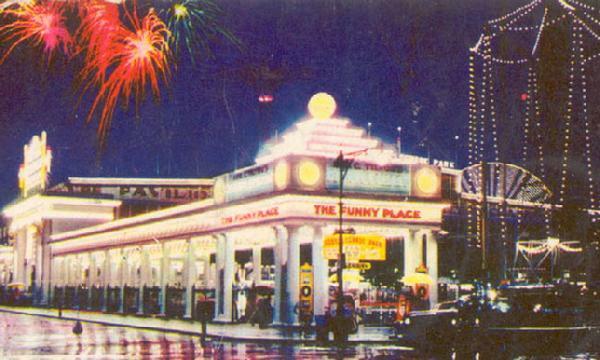 Luna Park during better times. 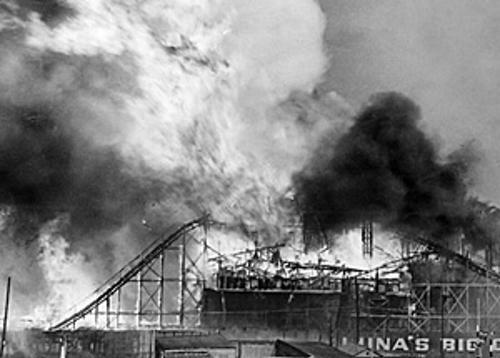 �Mismanagement lead to struggles not seen at Steeplechase during the Great Depression. 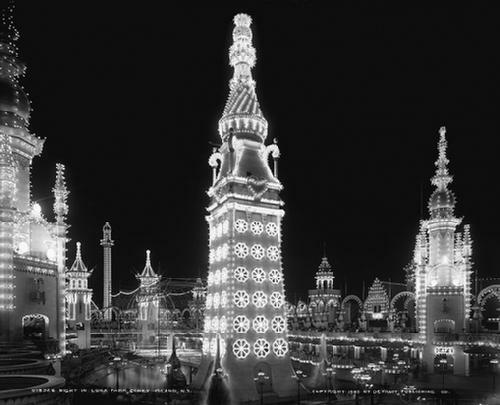 �Known for its many lights, Luna Park like the rest of America's coast line remained dark at night during World War II. 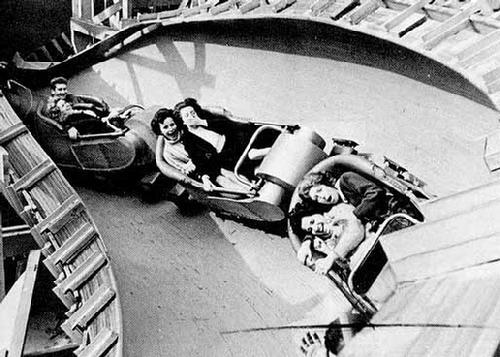 The Luna Park Houses opened in 1953. 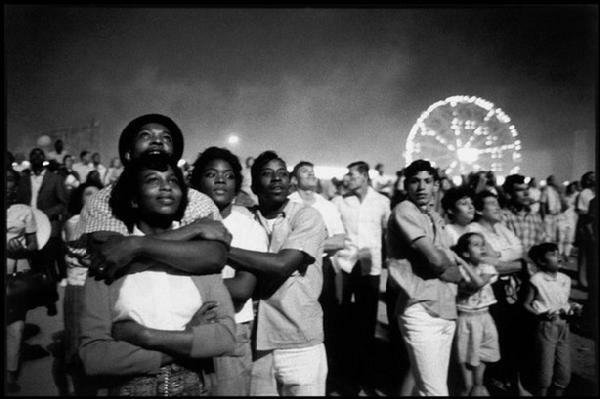 �Throughout the '50s Moses surrounded the amusement district with hundreds of more acres of public housing. 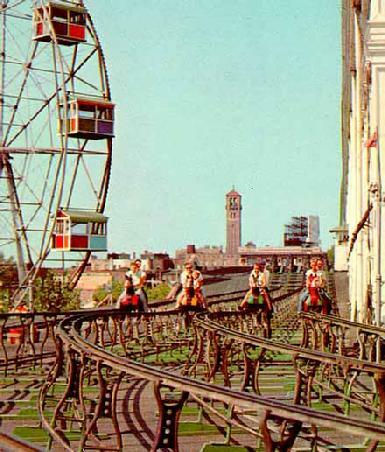 1947: �Although not as big as independent owner, Herman Garms' Wonder Wheel, Steeplechase too had its own boardwalk side ferris wheel. �Notice the Steeplechase logo in the f/g. 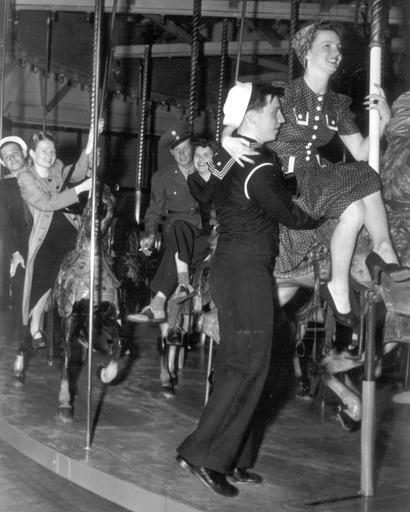 1949: �Almost 300 feet in the air, from atop the Parachute Jump.��The crowds seemed to grow with each passing decade. This trend would turn in the 1950s and beyond. 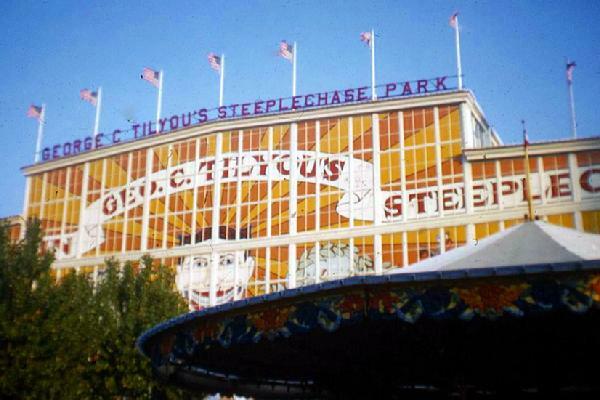 1951: �Steeplechase as the area's only major amusement park. 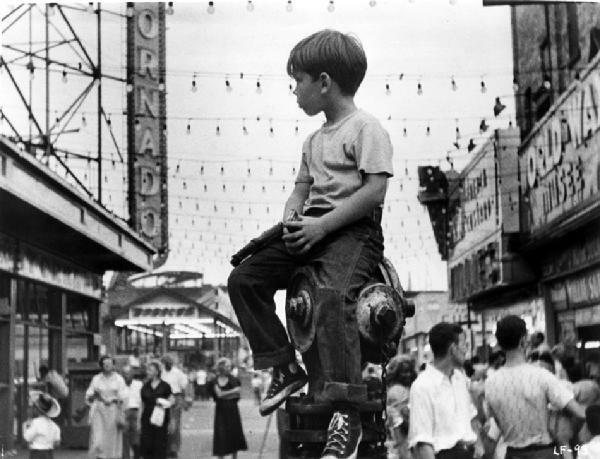 1953: On set still to Morris Engel's The Little Fugitive. The world famous Tornedo on the left. 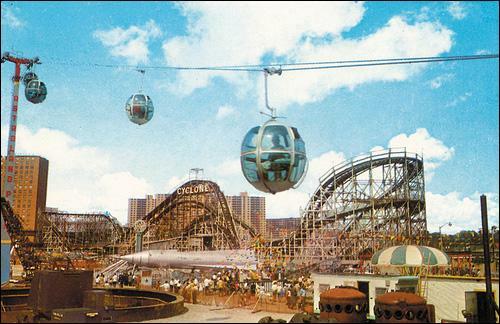 Television, an increase in cars, white flight into the suburbs, general disinterest from the public, and a lack of support from the city (including eliminating express train service to Coney in 1953) also played roles in Coney's demise. 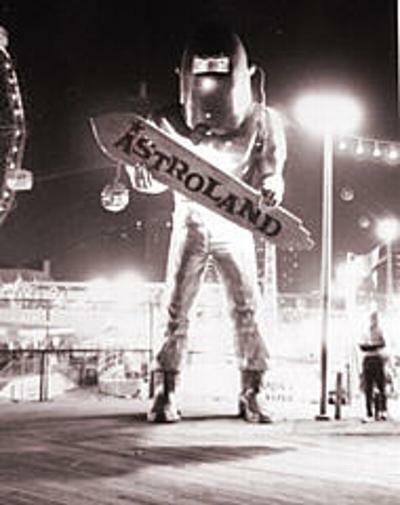 �As late as the early to mid 50s, however, it was not still clear that Coney's greatest days were gone for good. 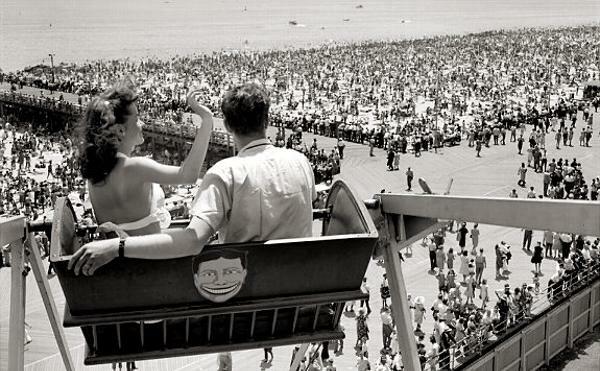 In fact, to this day, Coney's largest single day crowd was on the 4th of July, 1955. �During that same summer, CBS entertainer and host, Arthur Godfrey, filmed his nationally televised morning show on location from Steeplechase. For the most part, it was all downhill from there. 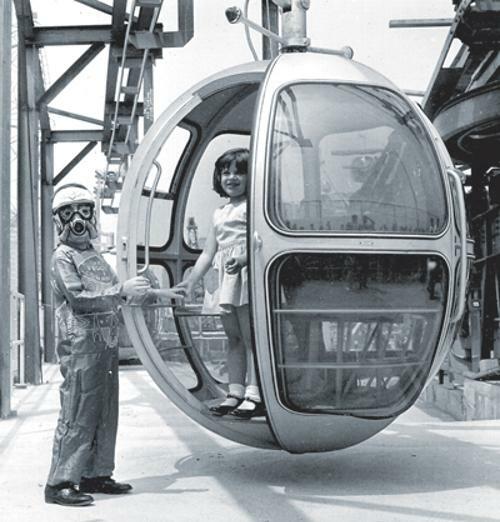 �Perhaps fittingly, 1955 was also the year that Disneyland, the first of the supersized theme parks, was born. �Finally, 1955 was also the first, last, and only time that the Brooklyn Dodgers would win the World Series. Due to new bacteria level relegations put in by the city, the pool was not opened in 1964, the same year President Lyndon Johnson signed the Civil Right's Act. 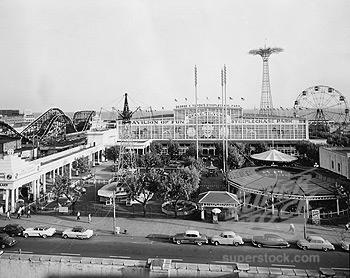 1964: �An aerial shot from the Luna Park Apartments, facing south, towards the Atlantic Ocean. 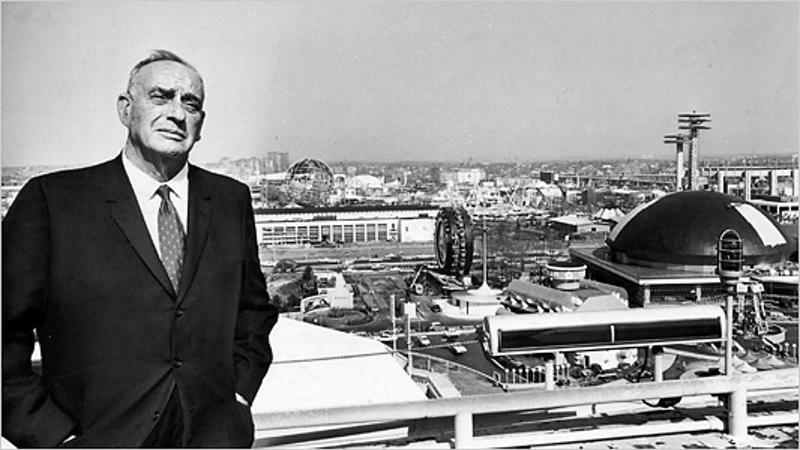 1964: �As the city continued its neglect of Coney Island, for the second time in his career, Robert Moses brought the World's Fair to Flushing Meadows, Queens. 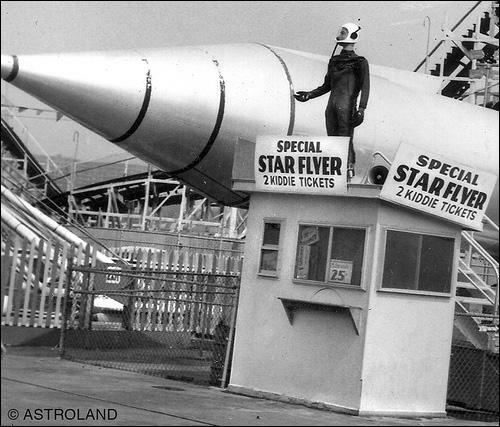 �After the fair Moses sold several rides to Disneyland but never had any of them moved to Coney.